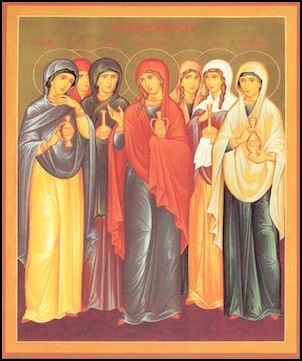 We are women communicants of St. Luke Church committed to the ministry of intercessory prayer and service. We are a ministry team under the Fellowship of St. John the Divine and the Pastoral Support team at St. Luke under the guidance of Father David. We belong to the diocesan St. Phillip's Fellowship of prayer and have been part of our own parish since it's beginning. We bring prayers requested of us to The Lord from the parish, their loved ones, and each other. We take prayer requests any time. We meet monthly on the first Saturday morning of each month for worship, fellowship, and sharing of prayer requests. All prayer requests are to be kept in strict confidence within our group. We try to "watch out for" the people on our parish calling lists - dividing up all the members of the parish - and always willing to bring your prayer requests before the Lord. We don't need details - maybe not even specific names - if the request is sensitive. We only need to offer up concerns to The Lord. He alone knows what is needed — we only ask His mercy. We welcome any women communicants interested in our goals and commitments to join us.